We have been fitting specialty contact lenses for years and have seen some incredible changes in that time. By far the most exciting changes have occurred in the last few years. Although rigid contact lenses are a shrinking segment of the industry, we still have a large number of patients who wear them. 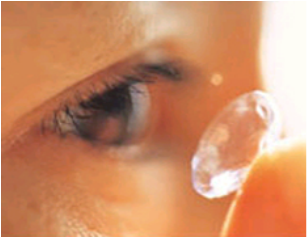 Allergies can be particularly annoying to contact lens wearers. In the past many people had to quit wearing their lenses for a month or two during the allergy season. New lens materials and allergy medications have made it possible for these people to eliminate itchy eyes. These medications such as Patanol and Alocril are amazingly effective and safe even in children as young as three.